Let’s start right out the gate by saying there is no easy or quick way to improve one’s credit score. To state otherwise is a flat out lie so, don’t fall for offers that claim a quick fix. The tips provided in this article are put out there to be easily understood, just know the process itself takes time and patience. In an effort to save money, specifically big purchases where having a good credit score matters, I’ll be listing the best and most common ways to improve your credit score. And by following these tips, over the course of a couple years or so, you will undoubtedly see a drop in interest rates for new purchases, leading to you and your bank account’s peace of mind. 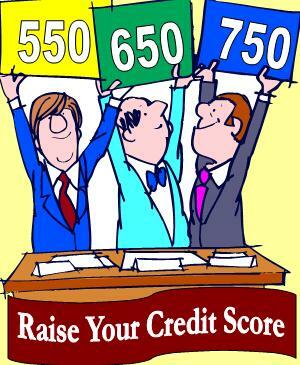 First is a breakdown of how a credit score is determined (also called FICO score). By making each and every category looking good, you’ll be more attractive to future lenders. What follows is how to do this. The biggest chunk, as seen above, is payment history. One of the best ways to improve credit score is to keep your payments current. Keeping payments current includes a couple of factors. One, try your best to never be late on anything. In fact, if you can pay an installment early, do it. By the way, keeping payments on time applies to utilities too not just credit cards, car payments, and mortgages. Two, if you have delinquent accounts, bring those current. Nothing takes a blow to your credit score quite like a late payment or being in collections. Next is the amount owed. What that implies is maintaining low to zero balances on all your accounts. Increasing credit limits on credit cards can have this effect, but be very cautious in using this trick. The temptation for some consumers to utilize that new limit is often times too great to resist, and therefore not recommended. The last tip in this category is to reduce your overall debt load. In other words, you’re able to keep low balances, but you have a whole lot of them. Go ahead and eliminate some of those accounts. Paid in full accounts will report to your credit for 7 years. Your length of credit history is exactly that; it’s how long you’ve had accounts open. This category is meant to reward those individuals that have been in the credit game for a long time. If you can maintain good payment history on an account and do it for years, your score goes up. Along those lines, do not close old cards that appear on your credit report. Closed accounts (versus paid off ones) do nothing for your credit report or score, but rather just take up space. Instead of closing an account, reuse it from time to time if able. This action will re-establish your history for that account. New credit is pretty self-explanatory. I only caution not to go hog wild on opening new accounts. Too many new open credit looks like a risk to new lenders due to lack of restraint. If you must apply for new credit, due so in a concise time frame. Spacing out buying ventures gives the impression that you’re always shopping, which is not a good thing. The last category is types of credit. By diving into a variety of credit, loans, etcetera, you’re showing lenders your capability to handle anything. This does not translate into having a lot of open accounts, just a healthy mix of types of credit. So, once a year you can visit this site and get all three of your credit reports for no cost at all. The three bureaus are Transunion, Equifax, and Experian. What you can do with this information is know exactly who is reporting, if it’s accurate, and make determinations on how to improve it. Should you discover discrepancies, you can often times dispute it directly with the creditor. If that doesn’t work (which it should anyway) you can file a dispute with the bureau itself, and instructions are typically on the bureau as to how to do that. You will also want to pay close attention to discrepancies if you have ever been the victim of identity theft or fraud. Fraud alerts can be posted by you personally to your bureaus, which will send up a red flag if anything suspicious gets reported from that point on. Those creditors which are already correct, simply take a look at that account’s status (i.e., debt owed, balance owed, and payment history) to determine if it can be improved upon by observing the tips provided in this article above. To reiterate; the tips given here today are simple to observe, but following through with said tips is the tricky part. Bringing a past due account current is easier said than done. But with a little perseverance, discipline, a lot of patience, and a watchful eye, you too can bring up your credit score, saving money in the long run.